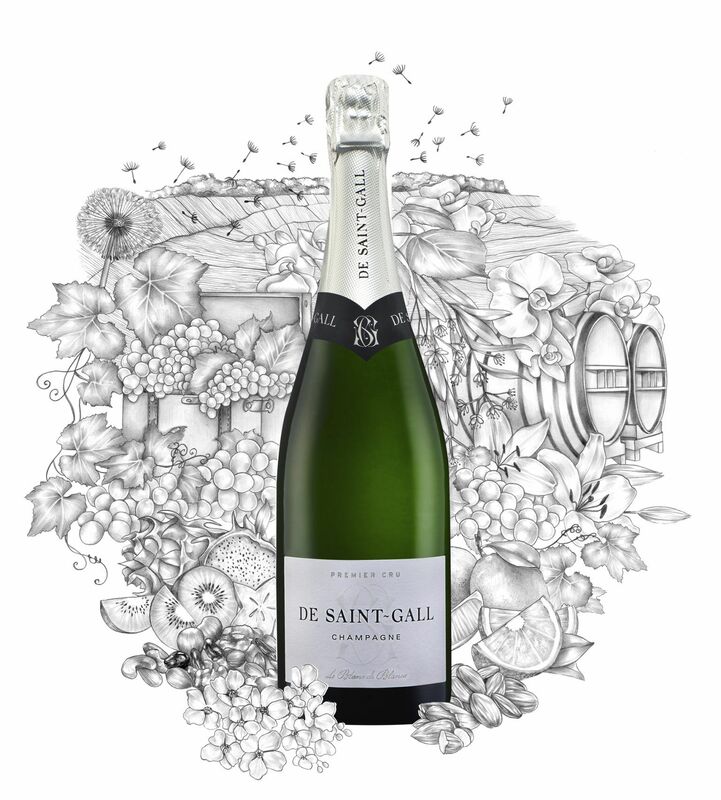 A true delight, this emblematic varietal Champagne is wonderfully aromatic. 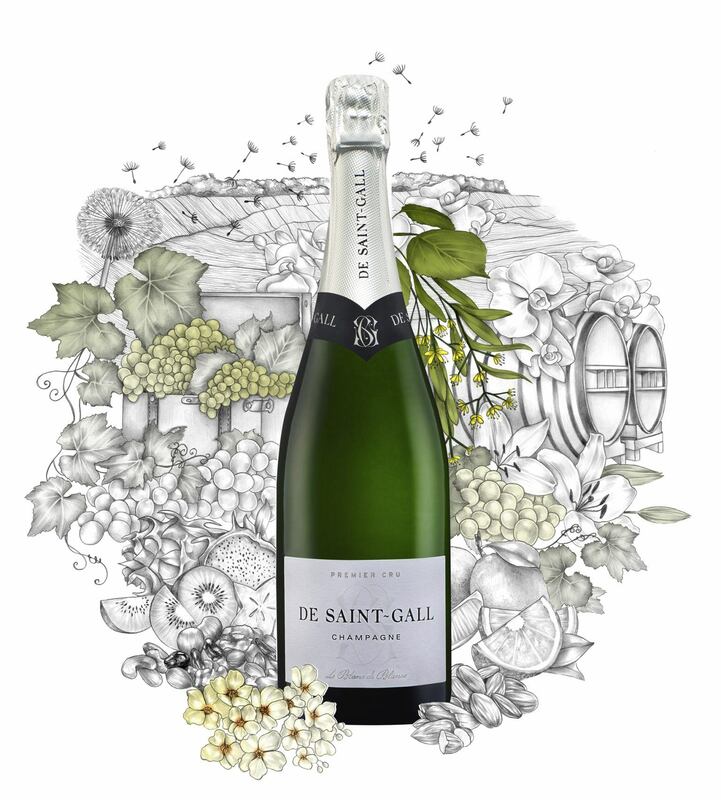 With a lovely pale hue and a nose of white flowers and linden, it is delicate, mineral and superbly fresh on the palate. 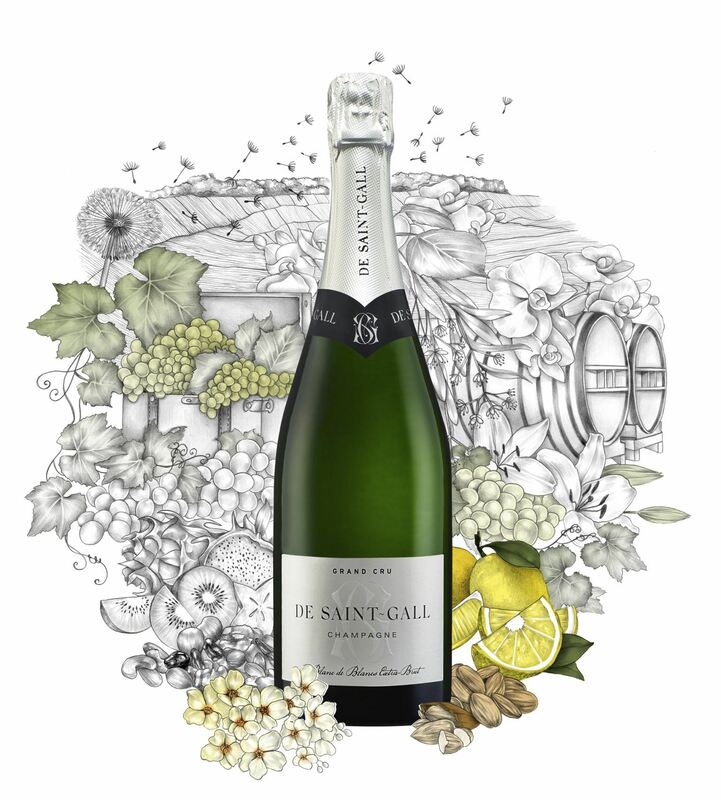 The Blanc de Blancs Premier Cru is at its best as an aperitif or when served with a salmon-mango tartare with a fennel emulsion. 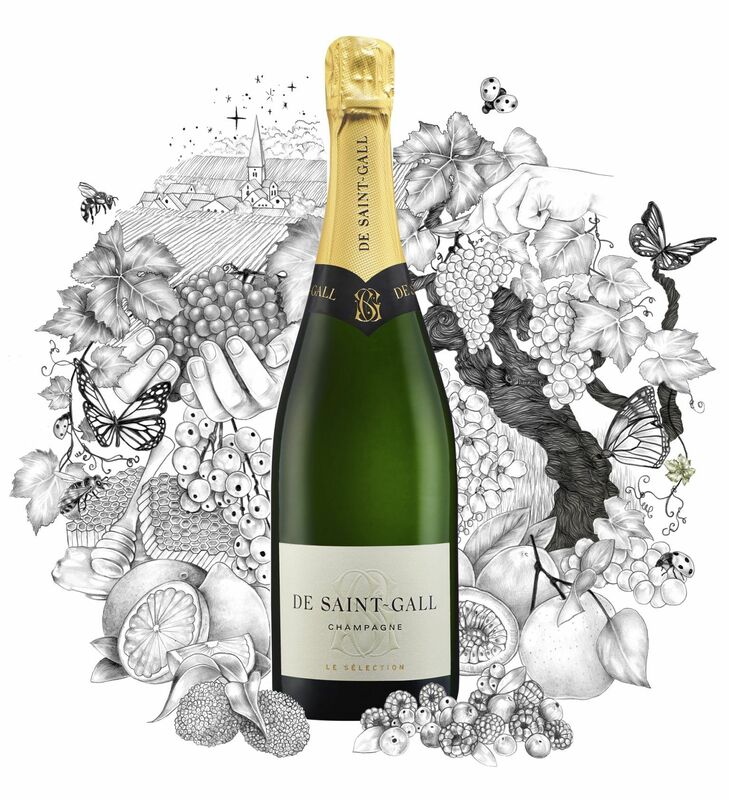 This varietal wine reveals the essence of Champagne. With very little sugar, it requires exceptional grapes and meticulous methods. 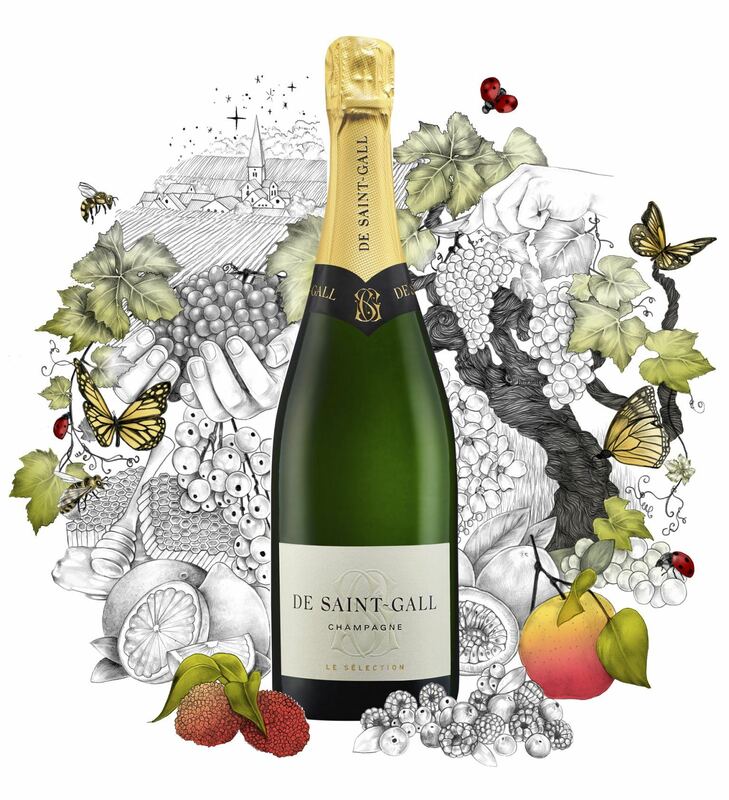 Its appearance is an enticing straw colour and its nose delivers aromas of citrus fruit. On the palate it is clean, with minerality, and full of verve. Purists will savour it as an aperitif; it is also excellent with seafood or scallop sushi marinated in a coriander, lemon and nori vinaigrette. 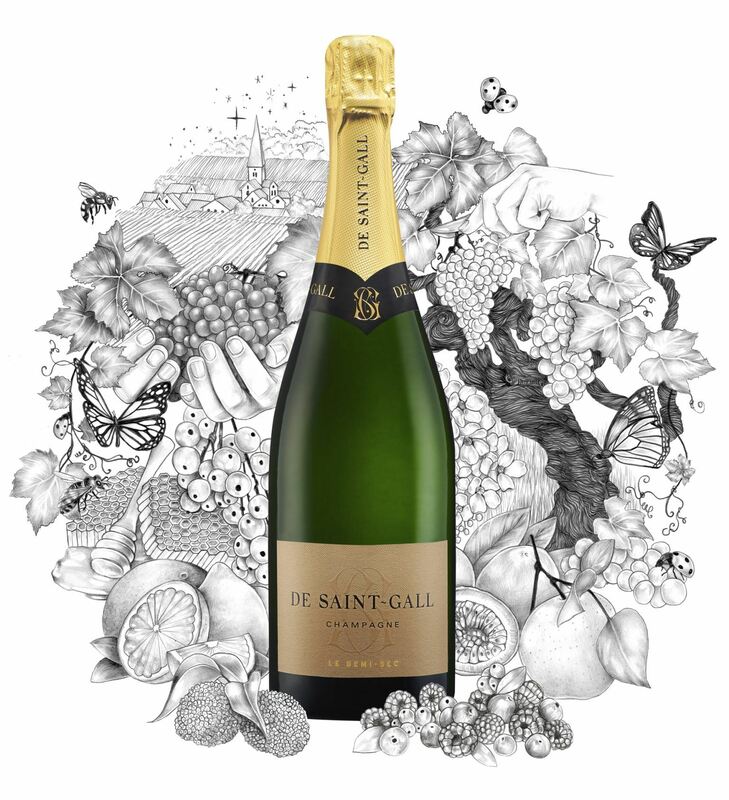 The Blanc de Blancs Millésimé is the quintessential expression of CHAMPAGNE DE SAINT-GALL’s mastery of Chardonnay, a sublime manifestation of the grand terroirs of the Côte des Blancs. Its appearance is clean and bright and it offers a complex nose of delicately toasted aromas. 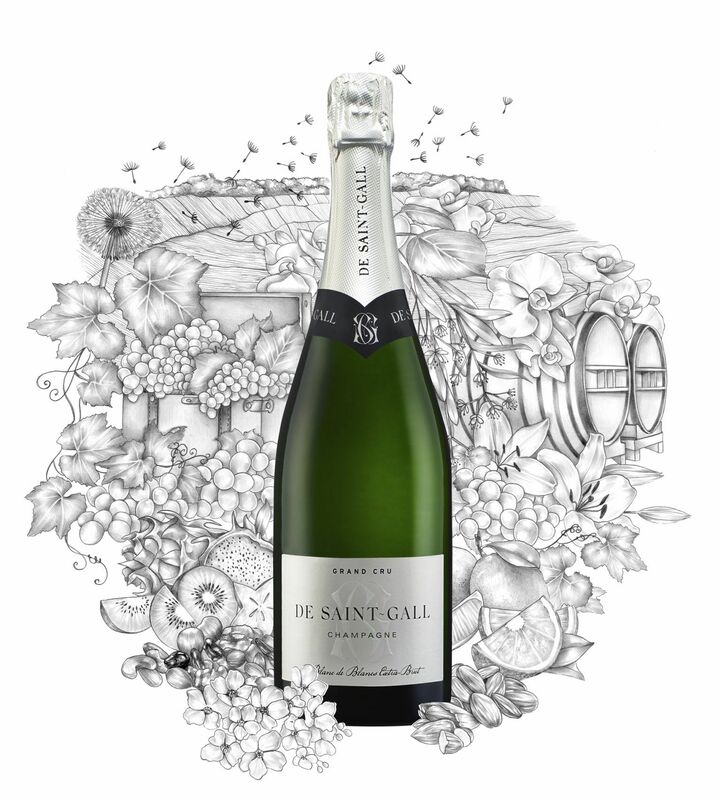 Round and fresh on the palate, it delivers very fine bubbles and a wonderful long finish and promises the ability for many years of cellaring. It is best when served with a guinea fowl supreme and endives à l’orange. This Champagne is enjoyable at any time. Fresh and easy to drink, Le Sélection is an ideal wine for an aperitif or a special occasion. It has a beautiful golden hue with a nose of white flowers and a lovely long finish. 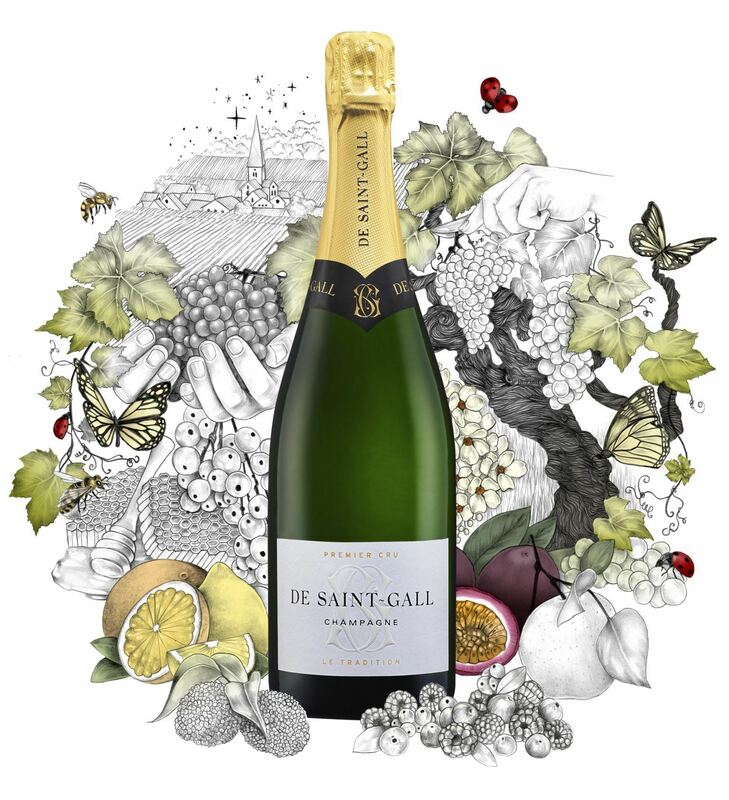 A wine of marvellous balance, this Champagne is a delicious blend of Chardonnay and Pinot Noir. 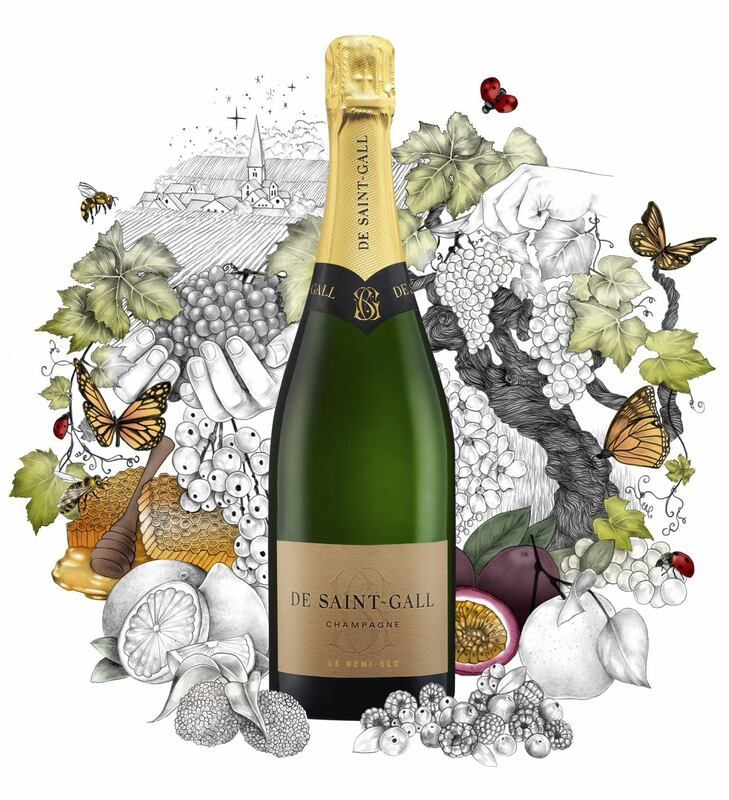 Its appearance is an enticing golden colour and it is expressive and refined on the palate with a hint of vinosity. It is best enjoyed with a sesame beef and seasonal vegetable stir-fry. 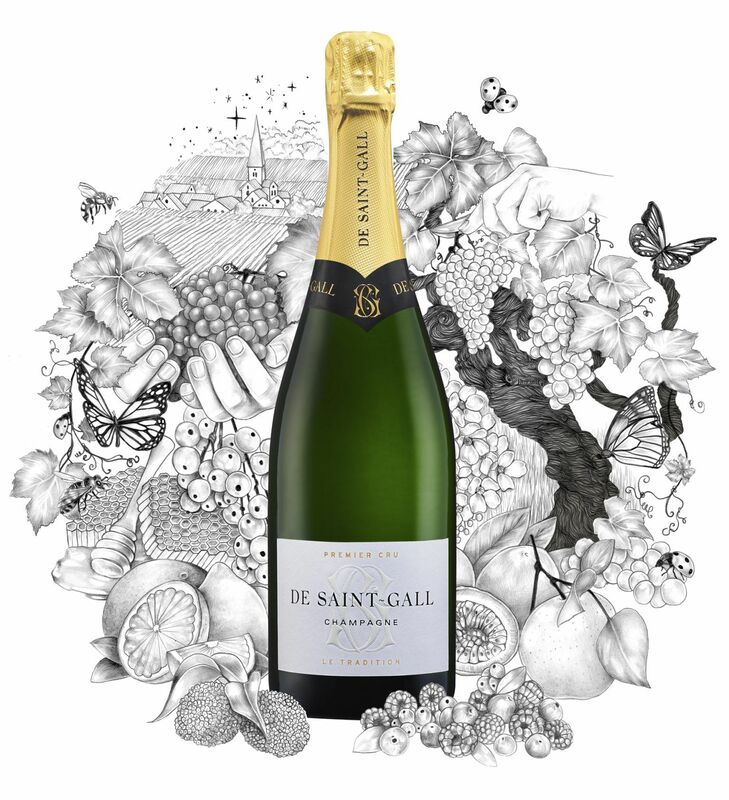 Light on the palate, this Demi-Sec Champagne offers a lovely straw-yellow hue, a fine and persistent mousse, aromas of exotic fruits and a roundness on the palate that is delicately evocative of honey. It is ideal served with a barely sweetened dessert such as a bittersweet chocolate mousse. 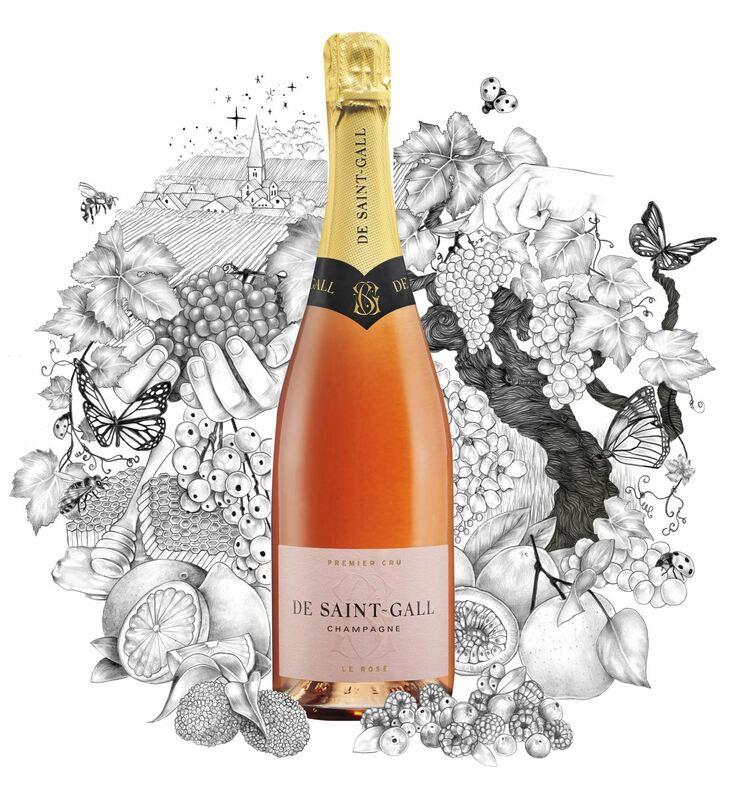 Wonderfully fresh, this Rosé Champagne is delicious as an aperitif or during a meal. 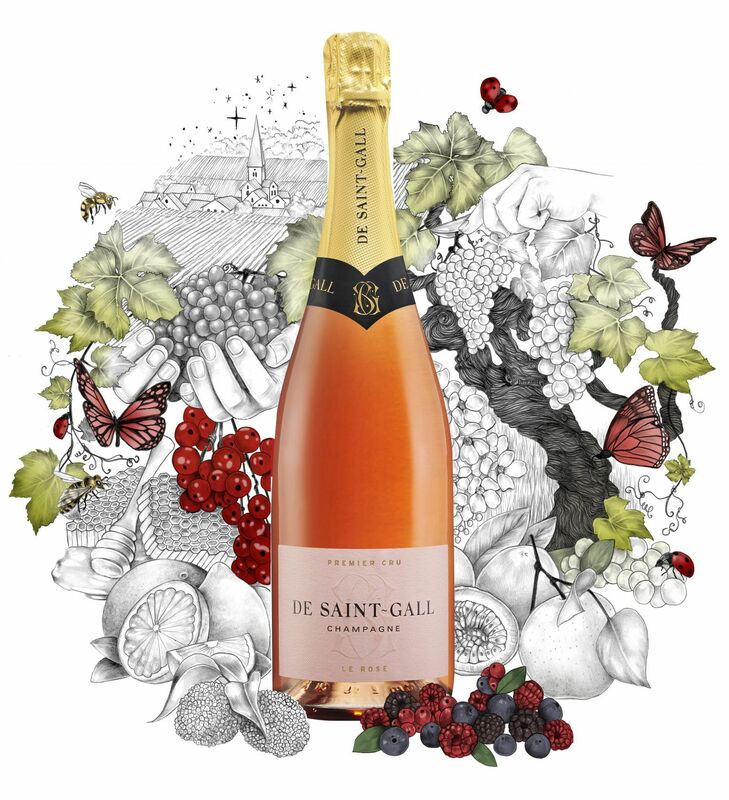 It offers a delicate coral hue, a nose of sour cherry and wild strawberries, and a vivacity on the palate. It is delightful with grilled jumbo prawns or a raspberry Pavlova. 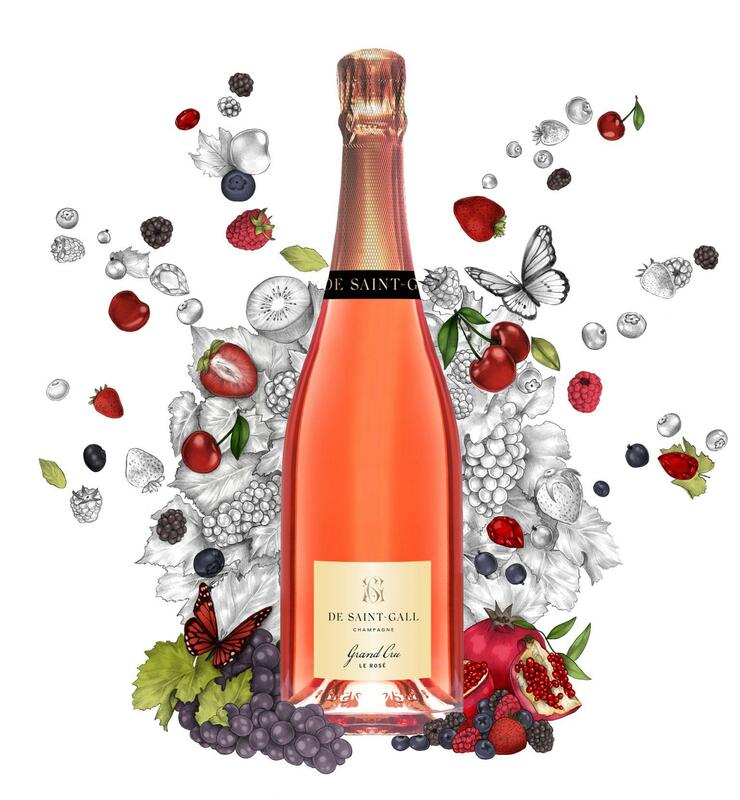 Made using the “saignée” method, Le Grand Cru Rosé is produced exclusively with grapes from a single village on the Montagne de Reims: Ambonnay. With a ruby-colored hue and expressive aromas of fruit, it is structured and elegant on the palate, striking an exquisite balance between power and refinement. 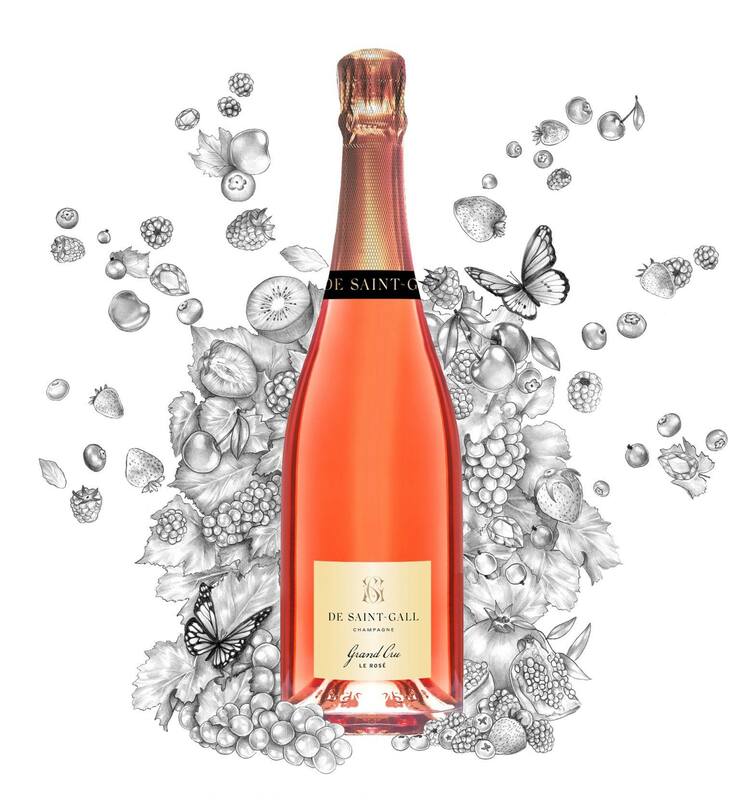 It is a Rosé Champagne to be enjoyed with a meal, such as a rosemary-honey duck breast and slow-cooked apples. 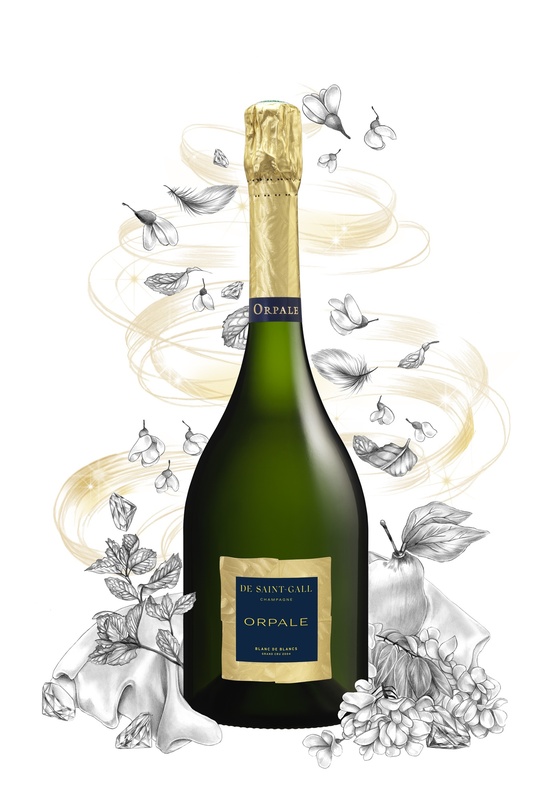 Orpale is without a doubt the most complex, accomplished wine of the CHAMPAGNE DE SAINT-GALL portfolio. 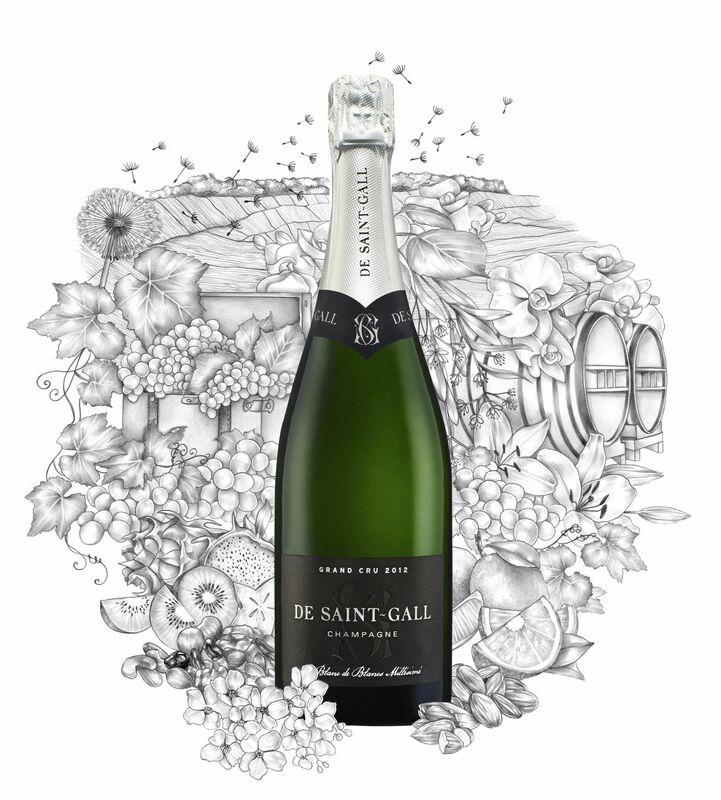 Always a vintage Champagne, it is the result of a highly unusual process: a portion of the grapes used to make this Blanc de Blancs do not undergo malolactic fermentation to preserve the freshness and mineral character of one of the best plots of the Côte des Blancs. An elegant wine with complex aromas, superb on the palate and with a long finish, it is a must. Orpale will make the most special occasion memorable, when served in its purest form as an aperitif or paired with a poularde with truffle butter and mushrooms or a veal roast and girolles.